How to watch LEGO Ninjago: Masters of Spinjitzu: Hunted (2016) on Netflix Netherlands! Sorry, LEGO Ninjago: Masters of Spinjitzu: Hunted is not available on Dutch Netflix, but you can unlock it right now in the Netherlands and start watching! With a few simple steps you can change your Netflix region to a country like USA and start watching American Netflix, which includes LEGO Ninjago: Masters of Spinjitzu: Hunted. We'll keep checking Netflix Netherlands for LEGO Ninjago: Masters of Spinjitzu: Hunted, and this page will be updated with any changes. LEGO Ninjago: Masters of Spinjitzu: Hunted is not available in Netherlands BUT it can be unlocked and viewed! Season 1 of LEGO Ninjago: Masters of Spinjitzu has 39 episodes. Because different Netflix countries have different availability for episodes, you'll need to check the episode listing below to see which are available in the Netherlands. The ninjas are snapped out of their post-hero complacency when Lord Garmadon's son Lloyd shows up and tries to pick up where his father left off. The ninjas are snapped out of their peaceful complacency when Lord Garmadon's son Lloyd shows up and tries to pick up where his father left off. When the ninjas hear that Lloyd has seized the village where Nya is visiting, they rush to her rescue and find the whole village hypnotized by snakes. Back in training mode with the looming threat of Lloyd and the Hypnobrai, Zane wanders after a Falcon and lands himself in a heap of trouble. Lloyd unlocks a second tribe, the Fangpyres, to help him regain control. The ninjas take action when the Fangpyres attack Jay's family's village. The ninjas interrupt their training to get Zane out of a jam and return to find that the snakes have burned their dojo to the ground. When the duplicitous Skales makes a power grab and leaves the ninjas homeless, their falcon friend leads them to a wrecked ship, the Destiny's Bounty. After the Fangpyres join forces with the Hypnobrai, Lloyd awakens Pythor -- the last remaining snake of the Anacondrai tribe. Exiled from the Hypnobrai, Lloyd unlocks a second tribe, the Fangpyres, to help him regain control and take his revenge. Lloyd moves in and tries to help out but just gets in the way. Pythor awakens the Venomari and the Constrictai, and an all-out snake war breaks out. When the Fangpyres attack, the ninjas rush to the junkyard where Jay's parents live and try to save them from the tribe's transforming venom. Pythor declares himself the destined leader who'll reawaken The Great Devourer, an ancient beast that can't be killed and will consume all of Ninjago. After the Fangpyres join forces with the Hypnobrai, Lloyd releases Pythor, the last remaining snake of the Anacondrai tribe. When the four ninjas follow the mysterious falcon into the woods, they stumble upon a hidden workshop where Zane learns the secret about his past. Jay and Nya must cut short their first date in Mega-Monster Amusement Park as the Serpentine are on their way to retrieve one of four fang blades. After Pythor steals Lloyd's map that shows where the two remaining tribes dwell, Uncle Sensei tries to save Lloyd from impending doom. Pythor awakens the Vipoids and the Constrictaurs in an effort to unite them under his rule, and a snake war consumes Ninjago. The ninjas go undercover as a dance troupe and enter a talent contest in their quest to win the Blade Cup, where one of the fang blades is hidden. The ninjas are suspicious when their archenemy Lord Garmadon moves in to help search for his missing son, but they realize they have to work together. The ninjas risk capture in an attempt to foil Pythor's power-hungry plan. Lloyd's prank yields unexpected results when the ninjas face defeat. The ninjas try to infiltrate the Serpentines' inner sanctum and walk into a trap. When Lloyd's rescue mission fails, only Lord Garmadon can help. 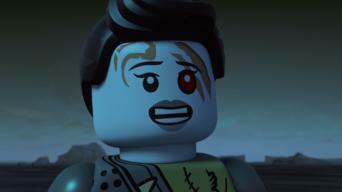 Pythor declares himself the destined leader who will reawaken the Great Devourer, an ancient beast who cannot be killed and will consume Ninjago. The snake tribes take Lloyd prisoner and capture the ninjas, but a mysterious warrior tries to rescue them. Kai makes a shocking discovery about Nya. The ninjas hastily journey to the lost city of Ouroboros to try to stop Pythor from awakening The Great Devourer, but it's a race against time. When the four ninjas follow the mysterious falcon into the woods, they stumble upon a hidden workshop that might holds answers for Zane. Disaster threatens as the ninjas must fight to defeat the all-consuming Great Devourer in a desperate attempt to save Ninjago. Zane learns the hidden truth about his past, and in the process, gains the awareness to become the first ninja to unlock his true potential. Jay and Nya cut their date in Mega-Monster Amusement Park short when the Serpentine arrive and a fang pricks Jay's hand, triggering transformation. Pythor and the Serpentine attempt to reclaim the first Fang Blade. Jay's potential comes to light when he tries to seize Nya from the jaws of death. During the contest, Cole meets his father, the leader of a famous dance troupe, and faces a test of his character when Pythor puts him in peril. Despite their suspicions, the ninjas work with Lord Garmadon to rescue his missing son from the snakes inside an unstable temple built on a volcano. Kai shows his true colors when he rescues Lloyd and is forced to concede that it is another's destiny to be the Green Ninja, with all that it entails. When the ninjas and Uncle Sensei infiltrate the inner sanctum of the Serpentines, they walk into a trap, and only one unlikely person can save them. Garamadon and the Skeleton Army battle Pythor and the Serpentine, allowing the ninjas to regain the Fang Blades, but danger still looms nearby. At Torchfire Mountain, Pythor reclaims the blades and leaves, leaving the ninjas to die. The four give chase in a race against time. Back in the lost city, Pythor finally succeeds, but Sensei Wu forces him to see the power that he has unleashed as the two face their fates. The ninjas test their might trying to defeat the all-consuming Great Devourer in a desperate attempt to save Ninjago. With the fate of Ninjago hanging in the balance, it is up to Lord Garmadon to employ his Four Golden Weapons and conquer the Great Devourer. Season 2 of LEGO Ninjago: Masters of Spinjitzu has 39 episodes. Because different Netflix countries have different availability for episodes, you'll need to check the episode listing below to see which are available in the Netherlands. As Ninjago is rebuilt, the four Ninjas discover that their lost Golden Weapons have fallen into the hands of Lord Garmadon. Just as the rebuilding effort in Ninjago begins, the four ninjas realize Lord Garmadon has forged the ninjas' lost Golden Weapons into a mega-weapon. The Ninjas attempt to retrieve the lost Golden Weapons from the clutches of Lord Garmadon, who's uniting them into a single, ultra-powerful device. When Garmadon accidentally brings to life the ruthless Captain Soto and his pirates, it's up to the ninjas to stop them from plundering Ninjago City. The Ninjas face the wicked Captain Soto and his pirates, the Black Bounty's original owners, who've been accidentally resurrected by Lord Garmadon. When our heroes are invited back to Darkly's Boarding School, they discover it's a trap set up by Lord Garmadon and his evil replica ninjas. Captain Soto and the pirates imprison Lord Garmadon, weakened by the Mega-Weapon, and Lloyd helps the Ninjas stop their reign of terror. When the ninjas learn Darreth's Mojo Dojo is to be destroyed, they enter the annual NinjaBall Run to win a cash prize that will help save the dojo. The Ninjas are invited to return to Darkly's Boarding School. When the ninjas prevent Garmadon from using his mega-weapon to bring to life a fossilized monster, they're turned into kids and need Lloyd's help. At Darkly's Boarding School, the Ninjas confront evil duplicates of themselves created by Lord Garmadon with his Mega-Weapon. When Garmadon travels back in time to undo the past and rid the future of ninjas, the ninjas follow him and try to stop him using the Golden Weapons. The ninjas face off with an exhibit of a stone samurai warrior that the toxic venom from the Great Devourer has brought to life. The Ninjas enter the annual Ninjaball Run in hopes of raising the money to save Darreth's Mojo Dojo, which is about to be demolished. The Ninjas face some tough competitors -- including Lord Garmadon and his Mega-Weapon -- as they race to save Mojo Dojo in the Ninjaball Run. The ninjas try to flee from the Stone Army, which has been brought to life by the Devourer's toxic venom. Garmadon tries to seize control of the army. Lord Garmadon manipulates time to bring a fossilized monster back to life, and the Ninjas are turned into little kids when they try to stop him. The ninjas, Lloyd, Sensei Wu and Misako journey to the Dark Island to find a Temple of Light that can restore the ninjas' elemental powers. The Ninjas-turned-children, lacking their usual strength, must turn to Lloyd for help to stop Lord Garmadon's resurrected monster fossil. After fighting off the Stone Army, the ninjas arrive at the Temple of Light and harness their pure elemental powers, concentrating them onto Lloyd. Lord Garmadon travels back in time to change the past and eliminate the Ninjas from the future. The ninjas try to return Garmadon's Helmet of Darkness to its perch at the Celestial Clock to prevent the final battle between Lloyd and his father. Garmadon uses his new super-weapon to turn Jamanakai Village evil, unsettling the balance and allowing the spirit of the Overlord to possess his body. When the Ninjas realize they must destroy the Mega-Weapon, Jay delivers the Golden Weapons to them and Sensei Wu joins the battle. The Serpentines betray Garmadon as he searches for the Island of Darkness, and the Ninjas investigate when an army of stone warriors comes to life. A great darkness has fallen upon Ninjago as Garmadon's super-weapon has turned it evil, but the ninjas discover light is more powerful than dark. As the Ninjas attempt to solve the riddle of the Stone Army, Garmadon washes up on an island shore and becomes a servant of the Overlord. When Skales is named Snake King, the Serpentine begin a reign of terror, and the Great Devourer's venom brings Stone Army statues to life. As the Stone Army attacks Ninjago, the Ninjas help evacuate the city. Meanwhile, the Overlord helps Lord Garmadon take control of the Stone Army. The Stone Army mines a substance to help destroy Ninjago, while the Ninjas learn of the Temple of Light, where their elemental powers can be restored. The Ninjas reunite Zane with his father, the Tinkerer, and face a fearsome leviathan in their attempt to repair the Bounty. On the Dark Island, the Ninjas discover the Temple of Light, where they can harness their elemental powers and Lloyd can gain untold power. The Ninjas, now armed with the elemental swords, join Lloyd, with the power of the Golden Dragon, in a battle against Lord Garmadon's Stone Army. The Ninjas attempt to return the Helmet of Shadows to its pedestal and stop the countdown clock, battling Lord Garmadon's massive robot along the way. Lloyd confronts Lord Garmadon, but neither father nor son can kill the other, and the angered Overlord sets the final battle in motion. Lord Garmadon is launching missiles of Darkness at Ninjago. Garmadon's attack on Ninjago shifts the balance of power, allowing the Overlord to return and rain destruction that even the Ninjas can't stop. The Falcon leads the Ninjas and Lloyd to the Temple of Light, where they discover an ancient key to battling the Overlord, who has overtaken Ninjago. 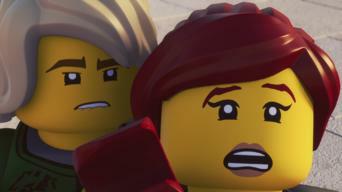 The Ninjas and Lloyd return to Ninjago, where they confront the Overlord in a battle for the future of the city. Season 3 of LEGO Ninjago: Masters of Spinjitzu has 8 episodes. Because different Netflix countries have different availability for episodes, you'll need to check the episode listing below to see which are available in the Netherlands. 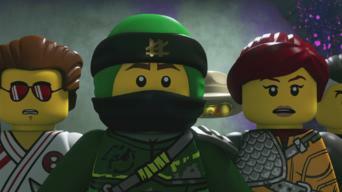 In the wake of Overlord's defeat, Ninjago City is reborn and the ninjas teach at Sensei Wu's academy. But the peace doesn't last long. After being pursued to Sensei Garmadon's monastery by the Nindroids, the ninjas sneak back into Ninjago City under the guise of a circus train. Zane gives up half his power to save P.I.X.A.L. just as foes attack from all sides. Meanwhile, Lloyd and his father travel to Hiroshi's Labyrinth. Underneath Ninjago City, the ninjas discover secrets about the Serpentine when they fight alongside them against the Nindroids. The ninjas venture into the Digiverse to confront the Digital Overlord. Meanwhile, Pythor and Wu lead a Nindroid attack on Borg Tower. Pythor and the Nindroids free the Digital Overlord. Meanwhile, Wu and Garmadon stumble upon Pythor's top-secret scheme, Project Arcturus. After battling Nindroids on the outside of the Arcturus ship, the ninjas hang on as the craft takes the battle into the heart of a comet. The Nindroids use the Golden Weapons to transform the Overlord into the Golden Master. In the ruins of Ninjago, the ninjas prepare their final stand. Season 4 of LEGO Ninjago: Masters of Spinjitzu has 10 episodes. Because different Netflix countries have different availability for episodes, you'll need to check the episode listing below to see which are available in the Netherlands. After discovering that Zane may still be alive, the ninjas learn that they must compete in a Tournament of Elements if they wish to see him again. The team learns about Jade Blades and other secrets of the Tournament of Elements. Karlof is eliminated from the competition. The contests begin, and soon Cole is forced to battle with Jay. Zane regains his memory with help from P.I.X.A.L. The remaining Elemental Masters compete in a roller skating competition. Cole, Karlof and other eliminations must work in Chen's noodle factory. The ninjas form an alliance with the Elemental Masters after revealing Chen's plan. Cole and Zane break out of the noodle factory. Lloyd and Garmadon learn of the great battle that once took place between Chen, the Anacondrai and the Elemental Masters for control of Ninjago. It appears that all is lost when Chen drains the powers of the Elemental Masters and vanquishes Lloyd in battle to take control of his as well. Chen and his army invade Ninjago City, but the masters have escaped the noodle factory and follow close behind. Garmadon narrowly escapes banishment. Master Chen uses a spell to turn himself and his troops into fierce Anacondrai, but the ninjas visit Ninjago City's jail to recruit an unusual ally. The final confrontation between the ninjas and the Anacondrai unfolds, but a great sacrifice must be made if the heroes are to save the day. Season 5 of LEGO Ninjago: Masters of Spinjitzu has 10 episodes. Because different Netflix countries have different availability for episodes, you'll need to check the episode listing below to see which are available in the Netherlands. Morro possesses Lloyd and uses him to infiltrate the tea shop and attack the other ninjas, who have mysteriously lost their powers. After learning that Wu's staff holds a clue to the First Spinjitzu Master's tomb, the ninjas go to Stiix to retrieve the stolen Airjitzu scroll. While Wu trains Nya in her new water powers, the ninjas plot to steal the Airjitzu scrolls from Ronin but find that they must first fight Morro. The ninjas go to Sensei Yang's dangerous haunted temple to learn Airjitzu, and Nya quits her training but must use her powers to elude Morro's ghosts. Using their new Airjitzu powers, the ninjas race to climb a perilous mountain to find the Sword of Sanctuary before Morro can claim it. After being betrayed in the Cloud Kingdom, the ninjas battle Morro for the Sword of Sanctuary and learn he is ultimately after the Realm Crystal. As the ninjas close in on their final clue to the location of the First Spinjitzu Master's tomb, Ronin steals the Sword of Sanctuary to give to Morro. The ninjas journey to the First Spinjitzu Master's tomb to claim the powerful Realm Crystal, but they must navigate a series of traps -- and Morro. As the ninjas race to keep Morro from releasing the Preeminent, Morro uses the Realm Crystal to summon an army of ghosts from the Cursed Realm. While the ninjas try to protect Stiix, Lloyd encounters his father in the Cursed Realm, and Nya unlocks her true potential to take on the Preeminent. Skybound of LEGO Ninjago: Masters of Spinjitzu has 10 episodes. Because different Netflix countries have different availability for episodes, you'll need to check the episode listing below to see which are available in the Netherlands. The ninjas find themselves going from famous heroes to hunted villains when someone impersonates them and commits crimes all over Ninjago City. While Nadakhan schemes to steal the Realm Crystal, the fugitive ninjas are pursued by Ronin, who has been hired by the police to track them down. Falsely imprisoned, the ninjas meet a fellow captive who knows of a rare venom that can stop a Djinn like Nadakhan, but it's only found on one island. Nadakhan talks Jay into making a wish to win over Nya, first mate Flintlocke accidentally destroys the Realm Crystal, and Cole steals Soto's map. As large areas of Ninjago City vanish, the ninjas head to Tiger Widow Island, where Jay collects the precious venom with Nadakhan in hot pursuit. Marooned on Tiger Widow Island, Lloyd, Cole and Nya try to escape on a raft, while a captured Jay battles Nadakhan's crewmates for their amusement. After lessons in how to talk like pirates, the ninjas infiltrate Nadakhan's ship on a mission to slip him the venom and rescue Jay from captivity. Flintlocke leads a mutiny, believing Nadakhan will abandon his crew once he has the power of infinite wishes, but the Djinn prevails and captures Nya. While Nya is forced to rehearse for her wedding to Nadakhan at the Djinn Temple, Jay recruits a new team for a mission to rescue his friends. Nadakhan marries Nya and gains the power of infinite wishes, but Flintlocke and Dogshank join the ninjas to fight the Djinn in an epic final showdown. 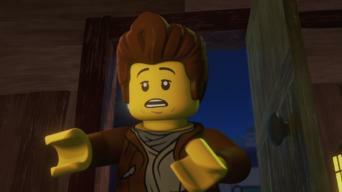 Hands of Time of LEGO Ninjago: Masters of Spinjitzu has 10 episodes. Because different Netflix countries have different availability for episodes, you'll need to check the episode listing below to see which are available in the Netherlands. Master Wu engages in a fight left unfinished decades ago against Acronix, one of the twin Hands of Time. The ninjas try to rescue him. The ninjas learn more about fallen Elemental Masters, Krux and Acronix, and discover they have a new enemy. Kai uses a Vermillion Warrior helmet to uncover information about Krux, while Lloyd struggles as a master-in-training and Nya tries to reboot Zane. The Vermillion Warriors mysteriously steal items made of metal while Lloyd comes to realize that filling Master Wu's shoes is a daunting task. The ninjas fight to save an amusement park while Jay defends his family home from the Vermillion Warriors -- until the Emerald Time Blade arrives. The team enjoys a victory and retrieves the Emerald Time Blade, but the celebration is short-lived. While the rest of the ninjas try to find and rescue Master Wu, Nya confronts the Samurai X imposter and Kai seeks the truth about his parents. Kai discovers both of his parents are being held captive. Meanwhile, a third Time Blade appears. The Hands of Time force Kai and Nya into retrieving the fourth Time Blade from the Boiling Sea. Kai and Nya time travel to the past, where they must help the Elemental Masters prevent the Hands of Time from changing Ninjago history. Sons of Garmadon of LEGO Ninjago: Masters of Spinjitzu has 10 episodes. Because different Netflix countries have different availability for episodes, you'll need to check the episode listing below to see which are available in the Netherlands. After he loses the Mask of Deception to a new villain, Lloyd reunites the scattered ninjas. Lloyd befriends the spirited Princess Harumi, but an explosive attack by the Sons of Garmadon results in another relic lost and her parents missing. The ninjas seek the Sons of Garmadon by interrogating a captured gang member and going undercover at a karaoke bar. 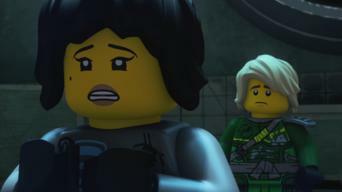 Zane is taken to the Sons of Garmadon's secret base, where he learns about their unseen leader. Meanwhile, Lloyd discovers the gang's true purpose. Zane and Mr. E meet in an epic face-off as the ninjas' ship embarks on a rocky journey to find the third Oni mask. Separated by the crash, the ninjas try to get to the Oni mask before the Sons of Garmadon. A flashback reveals the truth about the Quiet One's identity as Harumi and Lloyd venture deeper into the Oni Temple seeking the third mask. 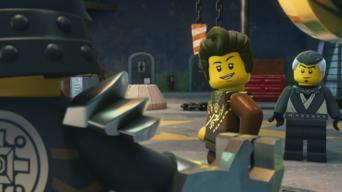 Lloyd awakens a prisoner of the Quiet One, who plans to resurrect Lord Garmadon with another hostage. The ninjas celebrate at Laughy's until they learn Garmadon has broken Harumi out of prison. Mistake heals Lloyd's injuries but his survival comes with a heavy price, while Garmadon conjures up three enormous Collossi to display his powers. 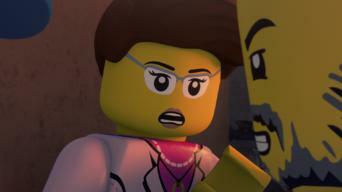 Hunted of LEGO Ninjago: Masters of Spinjitzu has 10 episodes. Because different Netflix countries have different availability for episodes, you'll need to check the episode listing below to see which are available in the Netherlands. 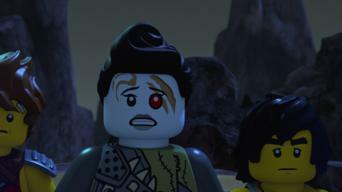 Lloyd hides from the occupying forces of Emperor Garmadon and Harumi, while Young Wu and the ninjas are marooned in the Realm of Oni and Dragon. Iron Baron banishes Jay, Kai and Zane to doom in an arena against a dragon. 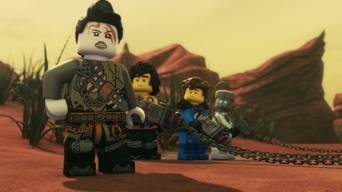 In Ninjago, Lloyd assembles a rebel group of Elemental Fighters. The ninjas are caged and used as bait to lure a dragon. Lloyd and his resistance fighters hijack a TV station to broadcast a message of hope. The enslaved ninjas gather materials so that Cole and Wu can build a dragon decoy. The Sons of Garmadon strike back at Lloyd's rebels. Lloyd and some of the resistance fighters are on the brink of capture in Nya's vehicle. In the Realm of Oni and Dragon, the ninjas and Wu go on the run. Mystake reveals her true nature and past, while Wu leads the search for Firstbourne. 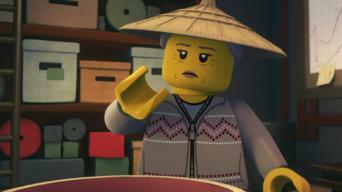 Wu's identity is revealed while Lloyd and his comrades come up with a new plan involving Harumi. When Wu is captured and electro-shocked, his memories suddenly return. Lloyd uses stolen powers to try and seize the Oni Titan. An angry Garmadon looks to regain control while Wu and Iron Baron land in Firstbourne's nest. The ninjas return to Ninjago and head to battle just as a terrible attack is underway while Master Wu and Lloyd confront Lord Garmadon.